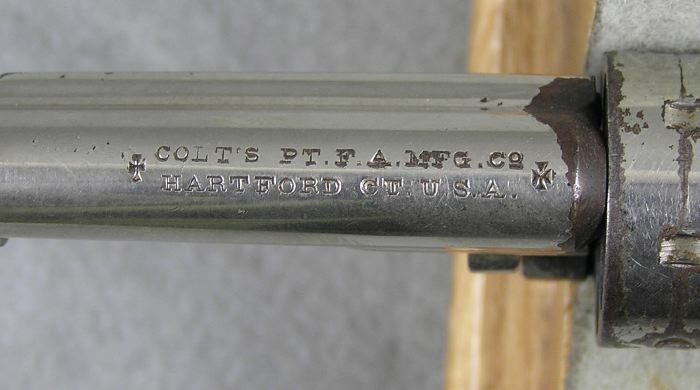 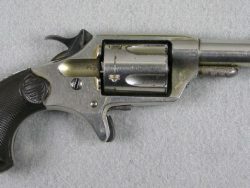 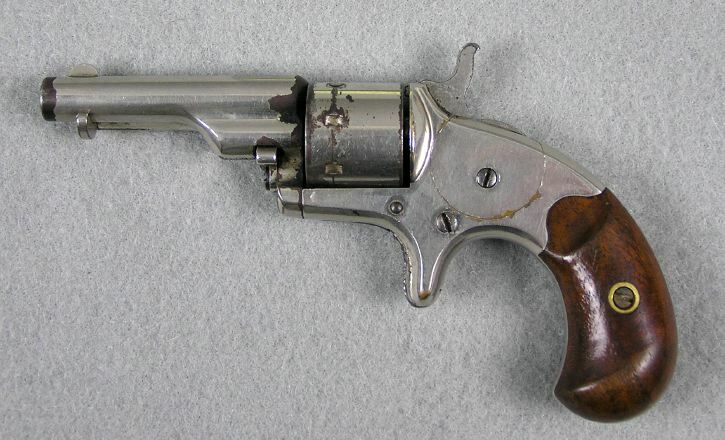 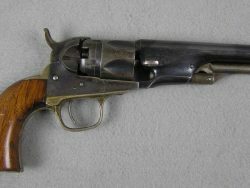 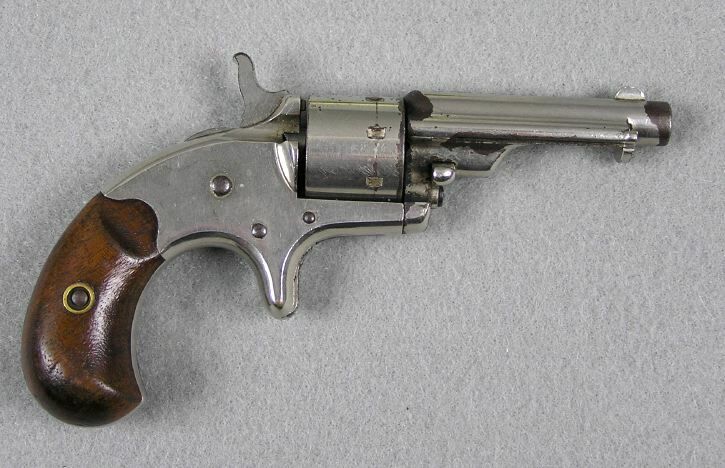 This is a Colt Open Top Pocket Model 22 revolver with ejector on the barrel. 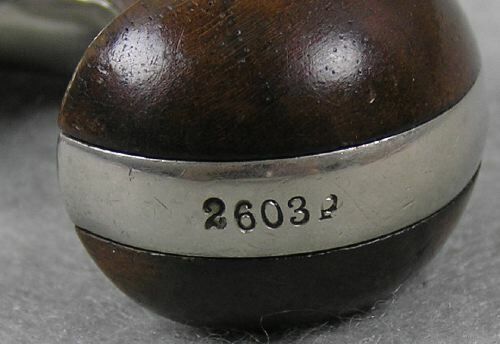 The serial number is 2603 P and is matching numbers. 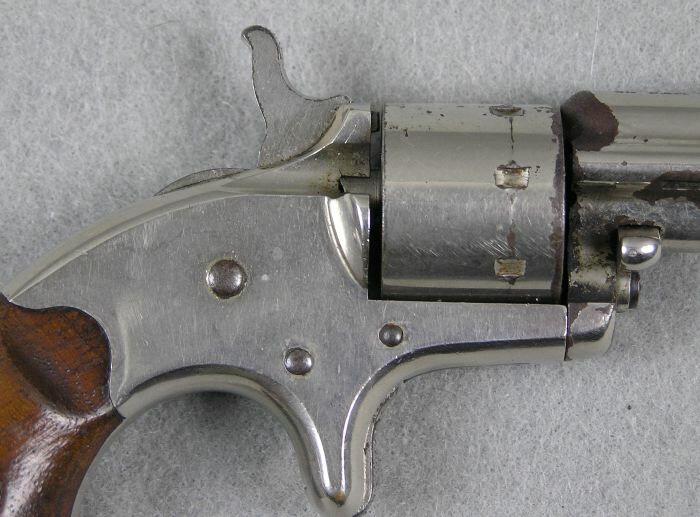 The mechanical function is very good and the bore is very good bright and shinny with strong rifling. 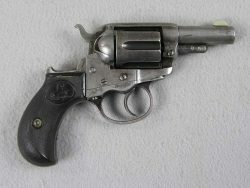 It retains 80% original nickel finish. 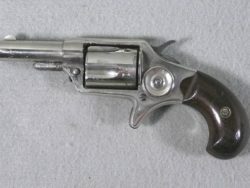 This one has a 2 3/8” barrel and the grips retain 85% varnish. 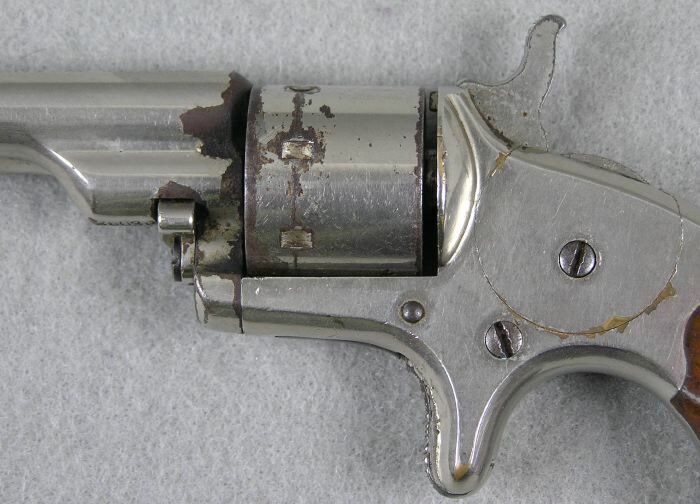 The ejector model are very hard to find.